- Snail-type chain adjusters for easy maintenance. - 8.3 litre fuel tank and thrifty four-stroke engine for long range. With its electric starter, modest 825mm seat height, ultra-reliable engine and great-handling chassis, the CRF150F redefines off-road fun. The news is finally out! 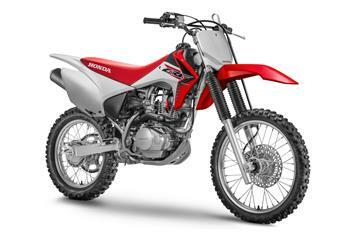 The brand new Honda CRF150R and CRF150RB (Big Wheel) motocross bikes will be on Australian shores very shortly.